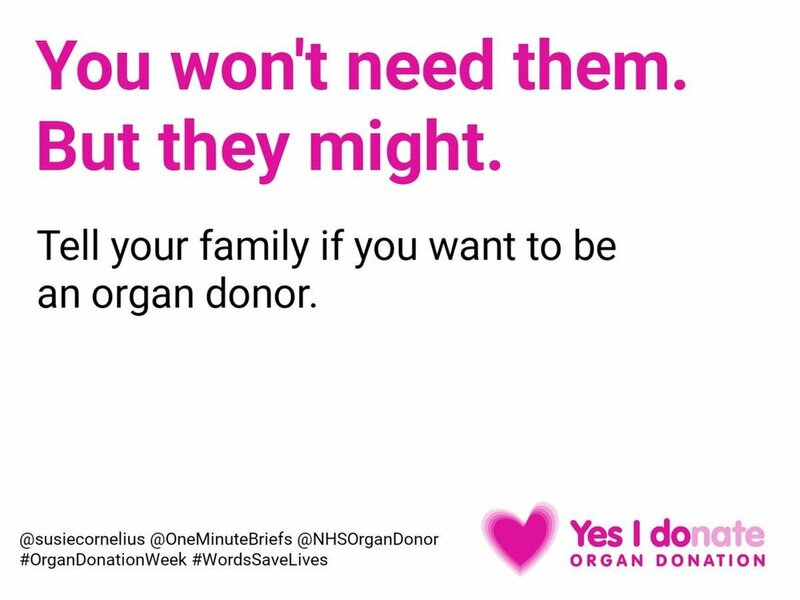 Following the success of previous NHS x One Minute Briefs campaigns, NHS Organ Donor got in touch with us to run a social campaign to amplify their campaign around #WordSavesLives during Organ Donation Week, which was all about raising awareness of the life-saving power of organ donation and encouraging families to discuss the topic. The brief itself featured lots of educational facts which were picked up and used in content created in response to our call for posters the promote the campaign. The community shared their ideas and, therefore, the message to their own followers and beyond as we retweeted all content to a mass-audience. The brief itself led people to the website and to the Organ Donor social feeds to continue the conversation and find out more. We saw people signing up to become organ donors on the day and we are proud to have started the conversation online, which we have no doubt led to families discussing the issue further and will lead to many lives being saved in the future.